At the risk of sounding like I don’t have good hygiene habits, I’m going to admit to the fact that I’ve stopped using antiperspirant. Not to worry, though. I shower regularly, and I still wear deodorant, just not antiperspirant. Until just recently, I never even thought about the difference between a deodorant and an antiperspirant. For years, I had always just used the same drugstore brand that my mother used, and I never thought much about what was in it. Now that I know more about what’s actually in most antiperspirants, though, I’ve chosen not to use them anymore. Most antiperspirants have an aluminum-based active ingredient to close up the pores to prevent sweating. Even if there might not be enough evidence to prove that aluminum is linked to Alzheimer’s and cancer, I would rather be safe than sorry. And is all that aluminum something I really want to be putting into my body anyways? Probably not. And then there’s the fact that a lot of antiperspirants also have other questionable ingredients such as parabens, propylene glycol, preservatives, and artificial fragrances. I also don’t really think that it’s the best idea to try to close up the pores on our underarms to prevent sweating the way most antiperspirants are formulated to do. Since I believe that God designed our bodies to cool down and to release toxins through sweat, I don’t think it’s really a good idea to be messing around with that process. It’s funny, though, because a lot of the time, it seems like the more you try to stop your body from sweating by slathering on an antiperspirant, the more your body overcompensates for it by producing even more sweat. I’ve found myself that by not using the antiperspirant anymore, I actually sweat less than I used to because my body has been able to find more of a balance again. Of course, nobody wants to walk around smelling like they haven’t taken a shower in a month. That’s where deodorants come in. Natural deodorants can keep you smelling fresh and clean without all of the nasty chemicals. Once I had decided to stop using antiperspirants, I tried a couple of different natural deodorant options. Unfortunately, most of them were pretty expensive and not all of them worked very well either. The cheapest, simplest, and the most effective natural deodorant I’ve tried, though, is a homemade one using baking soda, coconut oil, arrowroot powder, and essential oils for fragrance. I haven’t done the math to figure out the exact cost, but since the ingredients listed will make several batches and since each batch will last for quite a while, it’s much more economical than the store bought ones. This is the recipe I’ve been using to make my homemade deodorant. I adapted it from this recipe. Combine all ingredients together in a bowl and stir well until they are fully combined. It will take a bit of stirring to get everything to mix well together, especially if your coconut oil is hard. If the weather is warm enough for your coconut oil to be softer, the stirring will be a bit easier. Spoon mixture into a glass jar. I like to use these 4 oz. mini mason jars because they are the perfect size for this amount of deodorant. This recipe should keep well for several months. I usually make a new batch about every 3-4 months or so. As with all homemade products, though, you want to keep an eye on the appearance and the scent, and if anything changes or you notice an “off” smell, it’s time to toss it and make a new batch. Have you made the switch yet from drugstore antiperspirants to natural deodorants? This post is linked to Make a Move Monday at Simply Made Home and Fight Back Friday at Food Renegade. Thanks for linking up again last week. I have a recipe for deodorant on Simply Made Home that I put into an old deodorant container. It goes on a little easier that way. “Feeding Nine on a Dime” also linked up about deodorant! She had the suggestion of spraying on rubbing alcohol. I thought that sounded interesting as well! Have a great week and we will see you tomorrow! I just checked out your recipe and it looks like one I’ll definitely have to try! The addition of the coconut oil would probably solve the problem I’ve found with the plain baking soda being too irritating after shaving, and coconut oil smells nice too, so that would be an added bonus! I stopped using deodorant a while back as well. I’ve used Tom’s deodorant, but it made my skin peel a bit. I’ve never used baking soda though, great idea! I currently use the natural rock salt stuff, I can’t remember the exact name, but it’s the roll on version. Yeah, I didn’t like the Tom’s brand very much either. The recipe that Tara from Simply Made Home has on her blog sounds like a really good one too. It has baking soda plus a few other ingredients. I’m going to give it a try as soon as I get a chance. The only problem here is that some people have medical problems that cause them to sweat excessively. For example, I have found myself literally dripping with sweat from my armpits, creating large, very visible wet marks under my pits, in 60 degree weather. Regular antiperspirants don’t even work on me so I have to use clinical strength stuff. So some people don’t really have a choice. Also, sweating doesn’t really release any toxins, that’s just another one of those medical myths that is still thrown around. The amount of toxins released by sweat may be mythologized by some because the elimination of the bladder and the bowels as well as the working of the liver are the body’s primary ways of detoxifying, but sweating still plays a part in the detoxification process. Hopefully some of this information will be helpful to you. yonskii, I am hoping that you chose the option to be notified when someone comments on this. I used to suffer really bad with excessive sweating. I didn’t wear t-shirts for probably 15 years because no matter what, even if I was wearing two shirts, I would sweat through them in no time. I would even sweat through thick sweaters in the winter, and polo shirts with an undershirt underneath. I tried everything, carefully reading the back of every antiperspirant looking for whatever had the highest % of active ingredient. I remember being excited when I found certain dry (the Rx strength stuff you have to put on the night before). The only difference I noticed between using that and my usual Old Spice or Mitchum, was that my pits got a horrible rash. Then about four years ago, when I was 24-25 years old, I developed a horrible case of excezma and follicilitus (sp?). I went to a dermatologist and I tried antibotics, topical steroids and various creams and recommended cleansers. Nothing seemed to work. I began researching possible causes of excezma. You see the thing with excezma is the medical field is not exactly sure what causes it, or even if a singular thing causes it. I came across a blog where someone mentioned they were convinced it was aluminum poisoning causing their outbreak, and they saw immediate results from ditching antiperspirant. Now keep in mind, sweating for me was horrible. It was always on the back of my mind on dates, at school or work, anywhere. I thought to myself ‘no way in hell I don’t start dripping like a faucet without my antiperspirants’. But that this point I was desperate to try anything to cure my excezma as it was all over my hands and was harder to hide than excessive sweating. The folliclitus essentially covered my back, giving the appearance of severe acne. I was reluctant to date at that time for fear of being a guy in his mid-twenties with what appeared to be “bacne” and rough crusty hands. So I gave it a shot; I had a 3 day weekend and decided to try it out over the weekend to see how it went, going “cold turkey”. Did I sweat a little more than usual? Yes, actually quite a bit more for those 3 days. I started with a Arm and Hammer unscented deodorant on the 4th day when I went back to work. I picked that one because it was advertised as being aluminum and paraben free. By the 6th or 7th day I could not believe it. Did my rashes clear up yet? No, not yet. But for the first time since I was 12 years old, I didn’t have a soggy gross undershirt after a full day. Within about two weeks, all of my skin conditions cleared up. Within a year, I was able to stop using anti dandruff shampoo (yeah I had that problem too!). Ever since then when I hear someone complaining about sweating too much, I strongly urge them to try what I did. I honestly don’t know if the aluminum was causing all of my problems, but I do know that I can now wear t shirts again! I never thought I’d be able to wear anything but white or black (it hides the sweat more) but now I can. The excezma has not come back either and my skin overall is in much better shape. Out of the 4 people I had try this, 3 saw success. Small sample size I know, but seriously, it is worth a shot because it definitely changed my life for the better. For what its worth, the Arm and Hammer is the only one I found that worked well with masking odor. Toms Naturals irritated my skin and some of the fruits they use can cause yeast infections in your pits (can you say ew? Ew!) but they definitely work for other people. I found old spice and right guard, etc to be harder to apply and not as effective. 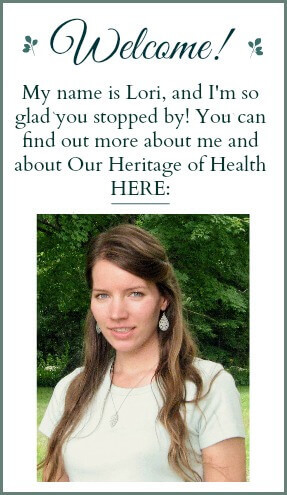 And Lori, if you happen to see this, great site! After I hit submit, I am hoping to find some potential uses to avoid sulfur bases shampoo and natural skin moisturizer. Maybe one day when I am feeling adventurous I will try your baking soda / paste method. I want to add to the list of comments about no deodorant/antiperspirant. A few years ago, I seemed to suddenly develop an underarm sweating problem – I’m talking, SERIOUS sweating that would have it running down my sides and pooling at my waistband – gross! I went to specialists, dermatologist, etc. I tried the strongest deodorants, took one along with me everywhere I went…and it kept getting worse. It was such misery! I thought my life was over – I couldn’t even wear anything with sleeves, because I would soak right through my clothes. This went on for 2 HORRIBLE years! 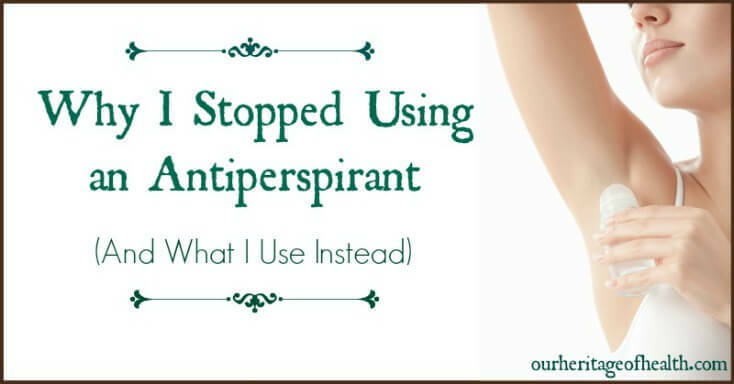 Then one night I discovered that the antiperspirant might BE the cause of my excessive sweating: after a particularly difficult day at work, I came home, showered, barely had enough energy to get dressed and just passed out from exhaustion. Little did I know that I’d forgotten to wear my antiperspirant! I woke up very early the next day with a heart-palpitating start, being THAT worried that I forgot to wear my antiperspirant. But guess what? I had neither sweated NOR smelled of anything! What?!! How was this possible after 2 years of this nightmare? It’s now been a year that I’ve not used the clinical strength stuff. I use the most basic deodorant/antiperspirant in the hottest months, and in the cooler months, I just use deodorant. One time, I ran out of my basic antiperspirant and saw that I had some of the clinical stuff left over. I thought, “It’s just one night. Why not?” I’ll tell you why not! Because I woke up in a pool of armpit sweat, just like those two prior years. I washed off the stuff, went out and bought my basic deo/antip and haven’t looked back! For those people who have a clinical problem with sweating due to gland problems, though, I suggest you look into Botox. Yes, it’s poison and I personally would hate to use it, but if you are really desperate and want a long-term solution, I hear that works well. Just a thought. 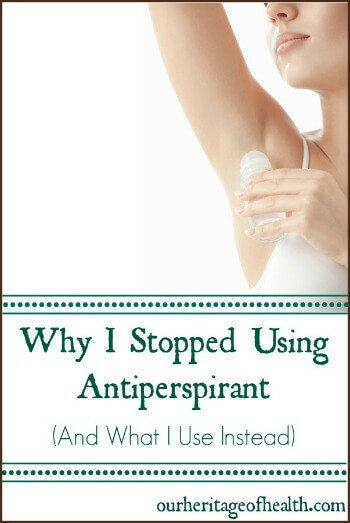 I stopped using antiperspirant too. I found that I was sweating more and I had no idea why, so after some research and since it’s cold and wintery right now, I decided to go a few days without any deodorant. Now I use a natural product free of all the harmful stuff and it’s a simple deodorant. I have stopped sweating heavily like I used to. Hey, I just wanted to let you know that I found a really good “deodorant”. It’s milk of magnesia…just dab some on with your fingertips and let dry for like 5 minutes and when you sweat, there is no smell at all! I’ve also tried rubbing alcohol, which works too but people say it’s not safe long term so I really recommend the MoM! I’m so impressed. Thanks for sharing, Teresa! I’ve never tried that, but I’ve read about other people using it with good success. I have had an excessive sweating problem for several years…thought it was stress related from work, but I’d also pit out on the weekends shopping or driving when no stress was involved. Some issues as everyone else including the icky pooling sweat soaking through my shirts. I’d only buy shirts in certan colors to mask the stains. I must have tried all the different antiperspirant formulations available at the grocery store. about a week ago I starting thinking there must be a solution to this excessive sweating other than medical intervention. So, after my googling, I decided to switch to Toms deodorant instead of an antiperspirant. no more underarm pit sweat e en while at work. It’s strange that the solution was this easy after all those years thinking I needed a xtronger antipersperant! That’s awesome that you found a solution, and that it was such an easy one! I have always had a problem with sweating and like may, I tried every antiperspirant out there. After realizing the affects of aluminum I went out to find natural alternatives. Most recently I switched to a natural deodorant and although I still sweat a bit, I’ve noticed that it’s not as much. I think by “clogging” the pores to prevent sweating… it made it worse! Agreed! Anti-perspirants are bad, bad news! A friend recommended Lavilin to me years ago and I really like it. I apply it to my underarms once a week and it’s enough to eliminate any unpleasant odors. It’s aluminum-free which is a HUGE plus for me! And the scent is nice, but mild. Not overpowering! Check them out! That sounds great! Thanks for sharing with us, Tiffany! I have/had hyperhidrosis (excessive sweating) and I even had to take the max dose of an oral unhealthy medication to try to stop it. I’m not anti-pharmaceutical either. Like everyone else is saying, I drenched my shirts under the arms and also major pools under my breasts, had to wear layers to soak it up. I think my body tried to reroute my sweat to come out under there. My hair was always wet too. Even 30 seconds after scrubbing under my arms in the shower with several soaps, I still smelled like sweat. Then I had a toxic mold exposure and had to start detoxing my body. I chose a natural deodorant (Tom’s)and it was yuck for me. Then I tried another and it helped. My sweating and sweat smell immediately decreased. I could not believe it! It’s Green Tidings, and has good Amazon reviews. If you look at the ingredients, you can make a variation at home yoursef. Anyway, now I only use coconut oil and baking soda. I’m no longer drenched. Seriously. The thought of doing only that seemed absolutely ridiculous. I was wrong. I joked that I had been putting on sweat scented antiperspirant for years. I wasn’t very into natural things bc I didn’t think they were strong enough for me but even the coconut oil alone by itself makes a huge difference!! Huge. Huge. Lastly, when I dabbed under my arms with alcohol, I could taste it wafting internally through my mouth. Decided that wasn’t a great sign. It’s worth a shot to try going natural for a few days at home alone. Some people need a few days to adjust. The grosser my diet is like processed foods and sugar, the more I smell like sweat. Surprised me. Will this homemade deodorant stain my clothes? I’ve been using this for a couple of years now and haven’t had any problems with it so far. Of course, there’s always a chance with any deodorant that it might stain clothes, and I can’t absolutely guarantee that it won’t, but it’s pretty unlikely that this recipe will. A little of it goes a long way, so you only need to apply a thin layer of it, and having a thinner layer of it will reduce chances of it staining every further. Basically you just want your underarms to be dry when you put on your clothes rather than wet with a thick layer of deodorant. By using a thin layer of this recipe, my clothes have stayed stain-free for the past couple years. I’m a nursing mama right now, so of course I normally have pretty strong hormonal BO. The magnesium oil just absorbs into the skin like there is nothing there at all, so no more white streaks on dark clothes. Yay!